Daniel Langholz (’14) graduated from Hope College with a Bachelor of Science degree in engineering with an emphasis in mechanical engineering. After graduation, he attended the University of Michigan where he received his Masters in Aerospace Engineering. 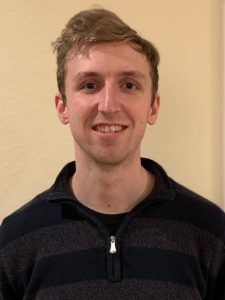 Then in early 2016, he joined Lockheed Martin Space Systems where he is currently a Guidance, Navigation, and Controls Engineer in Sunnyvale, CA. While at Lockheed, Daniel has enjoyed working on Project Orion, NASA’s future exploration vehicle for deep space missions. His team worked on the attitude control motor for the launch abort system. He was involved in the design of the control system through preliminary and critical design review and formulation of a testing and verification plan, which involved testing of the solid rocket motor, hardware integration with NASA, and qualification testing (vacuum, thermal, vibrations, etc). The following are excerpts from a recent correspondence with Daniel. What do you find most exciting or interesting about the work that you do? 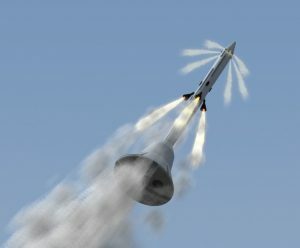 Being involved in a rocket test fire is certainly the most exciting thing I have participated in. What is most interesting to me, however, is the design of the control system. Taking a diverse set of requirements and ideas, then actually designing and building a system that goes all the way from a sketch on a whiteboard to a physical working device will always be incredibly gratifying to me. Image from a previous pad abort test for the Orion program. The exhaust at the top is the attitude control motor, the jets in the middle are from the abort motor, and at the bottom is the Orion capsule itself. Photo courtesy Northrop Grumman Innovation Systems. What are some activities you were involved with at Hope that helped shape you as a person? Being involved with music at Hope was definitely essential to my time there as it provided a release valve from all of the engineering work—it was great to be able to do something different. However, my involvement in Engineers Without Borders was probably one of the most influential activities I participated in. That club, more than anything else, really showed me how uplifting engineering can be. A well-designed water distribution system can drastically decrease disease, a road can transform a region, or a cell phone tower can help lift a town out of poverty. No matter where you go, engineers are essential. What aspect of your engineering education was most helpful? Without a doubt, late night homework sessions in the CAD/computer lab. By that time, people would generally be finished with the easy problems and a lot of the work was a group effort. In addition to just being more fun than working by yourself, those group efforts were so much more like actually working. The problems I work on with my team now are hard—otherwise somebody else would have done it already. Learning how to figure out those hard and seemingly impossible problems in a group was one of the best preparations I could have had. Can you comment on the liberal arts aspect of Hope? I quickly figured out in internships and my current job that the hardest part of engineering really isn’t the straight engineering. It’s the communication, taking the need and figuring out a set of requirements that can be solved with engineering techniques, organizing those ideas into an actual design, and giving clear feedback on those ideas. Being able to learn in a liberal arts environment helped with those essential parts of engineering that aren’t math and science. Get involved! Most people need to do something outside of engineering—otherwise you go a bit insane. For your career and experience, doing something engineering related that’s not class is also essential. A lot of hiring managers place much more importance in a committed EWB or FSAE experience than your GPA. Working as an engineering intern is also tremendously important. I had two internships in very different engineering fields, and decided I wasn’t interested in those fields in the future. But it gave me great experience, and more importantly, helped me figure out what to aim towards instead. Hope might not have the sheer number of on-campus opportunities as a big school, but it’s so much easier to get involved in the opportunities it does have and tailor them towards your individual interests. And if you’re looking for something different and don’t know what to do, ask a professor. You’ll never have as good of an opportunity to branch out as you will now, and professors at Hope are always willing to help.